Want to send Now Playing song data from Scott Studio SS32 to your RDS Encoder, Website, or Streaming Server? MetaRadio makes this possible. This article explains the setup of MetaRadio and Scott Studio SS32. For other setup guides, see out MetaRadio Support Site. Scott Studio SS32 supports exporting Now Playing data from each station. SS32 sends XML data from your Automation PC, TO MetaRadio on any other networked computer. 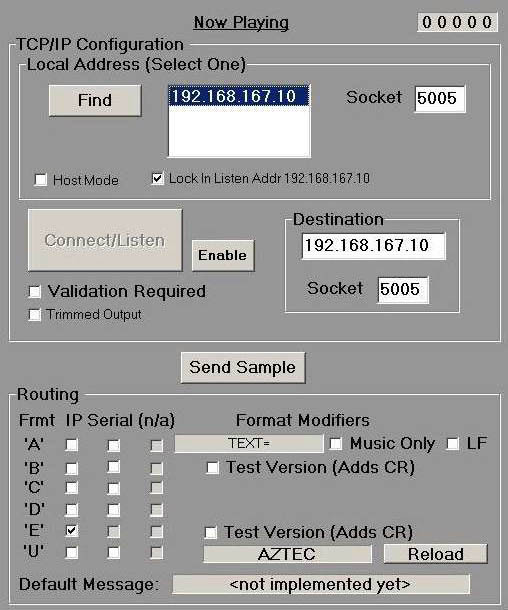 To achieve this, you must have a TCP Port opened in your firewall between SS32 and MetaRadio. MetaRadio automatically adds a Windows Firewall exception, so you will only need to add a firewall rule if your two computers are on different networks/subnets/VLANs. We use the SS32 ‘Type E’ output format, with MetaRadio acting as the Host (SS32 is the client). Destination IP Port: Select any unassigned TCP Port Number. Each Station must have its own port number. This will also be mirrored in MetaRadio. If in doubt, enter ‘3601’. That’s it for the SS32 side of things. Now we can move over to the MetaRadio setup. Save Station Details, and save the global settings in the app. Restart the main MetaRadio app and confirm SS32 is connected. You should see the TCP Port Number, and information displayed whenever the current on-air song changes. Now that MetaRadio is receiving data from Scott Studio, you can configure any outputs (RDS Encoders, Website, Streaming Servers, etc.) as needed.